St. Vincent’s Annie Clark is no longer a bit player in someone else’s band. Annie Clark has never thrown a TV out of a window. She’s never ordered drugs by the bucketful or asked her groupies to please form an orderly line out the door and down the hall and patiently wait their turns. 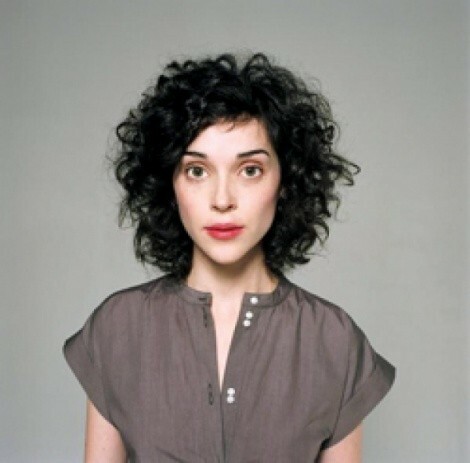 “Really, I don’t get much more wild than a cup of coffee and a good book,” says the St. Vincent frontwoman and mastermind with a cheerful giggle. Which isn’t surprising. Few could touch that legend. For Clark, though, it’s even more difficult. While St. Vincent is essentially her first solo outing—she recorded the group’s entire debut disc, Marry Me, herself—she’s done time in two of indie rock’s most angelic outfits: The Polyphonic Spree and as a member of Sufjan Stevens’ touring band. She joined the Spree when she was 21, auditioning on a Tuesday and landing in Europe on Saturday for an extended tour. Then after a year of wearing robes and shilling outright glee, she moved on to Stevens’ delicate beauty, playing guitar and singing about the upper Midwest. In both groups the only substance members could possibly OD on was overt happiness. And, while Clark hasn’t fully adopted the aesthetic of either of her former bands, she does have a fair amount of distance to make up if she wants to reach Bonham levels. “I don’t think that’s possible,” she laughs. Marry Me is a good start. While the disc sports a few moments of absolute giddiness—see the lush ballad “All My Stars Aligned” and the quaint vocal jazz of “What Me Worry”—the album also has an experimental sheen. Clark twists a melody out of ringing guitar harmonics and beautifully creepy choral arrangements on opener “Now, Now,” creating a track that’s both nonchalant and eerie all at once. She cheekily goes after the hypocrisy of religion on “Jesus Saves, I Spend” while borrowing the lush style of indie rock’s favorite Christian and her former boss, Stevens. And she creates a sense of major chord doom out of “The Apocalypse Song,” hitting ringing high notes over dread-touched beats and distorted squelches of feedback. Equally as intriguing for Clark is seeing how she can make the parts of her new band work. Being a backup musician has its perks, like a consistent paycheck and plenty of paid travel. But the reason Clark wanted to make her own music was because, while she shared the vision of both the Stevens and Spree’s chief, Tim DeLaughter, it wasn’t her own. She had something she needed to say. She’d been collecting bits of lyrics since she was in junior high, had sketched out any number of songs while she was on the road. She knew what she wanted and how she wanted it to sound, and she literally spent weeks in the studio tinkering. “It’s so easy to be working on one three-second bit and look up and realize you’ve been messing with that for 25 hours,” she says. And then, when it came time to hit the road, all that tinkering had to be handed over to other people. Clark suddenly found herself with her own batch of hired guns. She had to translate her material to them, just like Stevens and DeLaughter once did to her.